The Senate on Wednesday confirmed Judge Leslie Southwick to the federal appeals court in Mississippi despite complaints by some Democrats that decisions he supported were racially insensitive and inappropriate for a region still shadowed by civil rights struggles. The 59-38 vote on confirmation was sealed after the nomination survived its main obstacle, a test tally moments earlier. Majority Democrats pressured by labor unions and other constituencies did not have the votes to filibuster, or block, Southwick's confirmation. The Congressional Black Caucus warned that there would be consequences for Democrats at the ballot box. "We regard this as a test," said District of Columbia Delegate Eleanor Holmes Norton. Supporters of Southwick's nomination said the vote should only have been about his qualifications, not the history of the 5th U.S. Circuit Court of Appeals, which includes Mississippi, Louisiana and Texas. "If he was up for any other circuit, there would be no hesitancy," said Pennsylvania Sen. Arlen Specter, the ranking Republican on the Judiciary Committee. The nomination tested a fragile agreement in the Senate to block President Bush's judicial nominations only in "extraordinary" circumstances. Some Democratic opponents said Southwick's writings, combined with the troubled racial history of the circuit, met this amorphous standard. But Democrats did not have the votes to sustain a filibuster. Urged by the NAACP Legal Defense Fund, the AFL-CIO and the Congressional Black Caucus, some Senate Democrats who opposed the nomination made their case nonetheless. They said they didn't believe he is a bigot, but that the 5th Circuit could not afford a judge who has less than an "exemplary" record on civil rights. "When it comes to the area of race and racism, we have to bend over backwards," said Sen. Chuck Schumer, D-N.Y., a member of the Senate Judiciary Committee. "I certainly don't think he's a racist," Schumer added. "His words have to be seen in context. Like it or not when he's nominated to the Fifth Circuit he's carrying 200 and some odd years...on his back. That is the issue here." At issue were two cases he was involved in as a state appeals court judge in Mississippi. One was a 1998 decision that upheld the reinstatement of a social worker who used a racial slur in reference to a co-worker. Three years later, Southwick joined a ruling against a bisexual mother in a custody case. He also joined what some activists said was an anti-gay concurring opinion. Southwick's supporters pointed out that those were among 7,000 opinions across the nominee's career and that none of those facts addressed his qualifications. Conservative legal groups began pressuring Democrats from traditionally Republican states to at least give Southwick an up-or-down vote. Still, his nomination languished until one Democrat, Sen. Dianne Feinstein of California, joined with Judiciary Committee Republicans to move the question to the full Senate. The White House urged the Senate to confirm Southwick to the seat in what spokeswoman Dana Perino called "a judicial emergency." Republicans and Democrats have been fighting over this seat on the Fifth Circuit for years. Southwick, a law professor, judge and Iraq war veteran, was nominated by Bush in January to fill the slot that has been vacant on the panel since the completion of Judge Charles W. Pickering's recess appointment on Dec. 8, 2004. Democrats successfully blocked Pickering's nomination for a permanent seat on the court before that recess appointed. A second nominee for the seat, Michael Wallace, withdrew his nomination after saying Democrats would likely not confirm him. 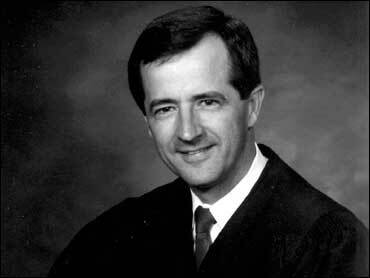 Southwick, currently an adjunct professor at the Mississippi College School of Law, served on the Mississippi Court of Appeals from 1995 until 2006. He previously served as a deputy assistant attorney general with the U.S. Department of Justice.